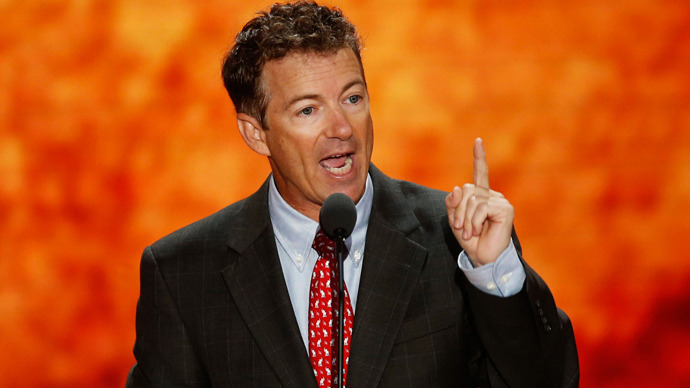 “I’m here to filibuster John Brennan’s nomination to be director of CIA,” Paul said on the Senate floor Wednesday. “I will speak for as long as it takes. Paul has said he wants more answers from the administration on whether American citizens can be targeted by armed drones inside the United States before he’ll lift his filibuster on Brennan’s nomination. Senate Republicans should be out fetching Rand Paul some water and taking notes on what it means to have a spine. Fortunately, a couple of other Republicans located their spines and have joined Senator Paul. Senators Mike Lee (R-UT) and Ted Cruz (R-TX) have helped Paul out in spots. You can watch the action live on C-Span 2.